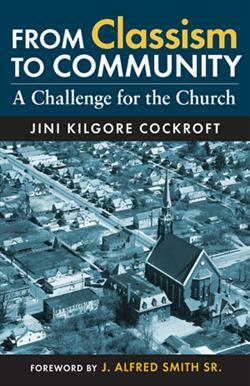 In From Classism to Community, author Jini Kilgore Cockroft examines the biblical truths that all persons are made in the image of God, and persons who are transformed through faith in Jesus Christ become members of equal standing in the Christian church. With these two truths as a foundation, she proclaims that Christians should accept one another as equal inheritors of God's grace, and should relate to one another as peers regardless of any differences in socioeconomic backgrounds. Though central to the gospel message, these assertions often are not in sync with societal realities. Cockroft offers a historical analysis of the origin of "classism" in the church and its influence in the development of denominations, specifically in the African American church. Referencing the works of scholars, Christian writers, and pastors from a broad spectrum of evangelical witness, alongside of her own, and those on the margins, she urges the church to exercise its power to restore, empower, and include the poor and forgotten by prayerfully finding ways to deemphasize social class distinctions while learning instead to affirm and embrace the concept of the imago dei, the belief that all humans have been made in the image of God.